Welcome to the DFW Table Tennis (DFWTT) website. We are one of the leading table tennis membership organizations in the nation, affiliated with the USA Table Tennis (USATT) the governing body of table tennis in the United States. DFWTT is an organization that promotes, develops and implements programs for the sport of table tennis regardless of the player’s experience, through family values, excellence and quality in a sportsmanship environment in the Dallas & Fort Worth area. Our main goal is to build a stronger table tennis community in the Metroplex! DFWTT is open to all ages, ethnicities, genders and playing levels. Players will have the opportunity to learn on and off the table skills, make lasting friends and have lots of fun! Come and play this amazing, popular and rapidly growing Olympic sport! DFWTT is one of the largest and well established table tennis organizations in the Dallas and Ft. Worth area. It was established in 1996. In the past decade DFWTT has grown from one to multiple locations and currently has over 100 active members. DFWTT multiple locations offer great playing conditions, with excellent lighting, flooring and brand new tournament tables. DFWTT has USATT certified Coaches and offers instructions at all levels – from beginners to advanced players. We provide quality table tennis training; private and group lessons are also available. We specialize in the development and training of Junior players. DFWTT facilitates and organizes on a regular basis sanctioned and non-sanctioned Tournaments. DFWTT member players have participated in many major national and regional table tennis tournaments. More info can be found on the Tournaments section of the website. Besides tournaments, DFWTT offers Leagues and Corporate challenge events as well. DFWTT has players ranging from all levels – from beginners to Elite players with over +2000 ratings. Its players come from all over the world, namely Taiwan, China, India, Malaysia, Venezuela, Honduras, Korea, Hungary, Russia, Thailand, Vietnam, Indonesia, England, Philippines, Mexico, Japan, Sweden, Jamaica, U.S. and many other countries. No matter what level you are at, you will always find someone of your level to play with at our locations. Fun is always our motto! 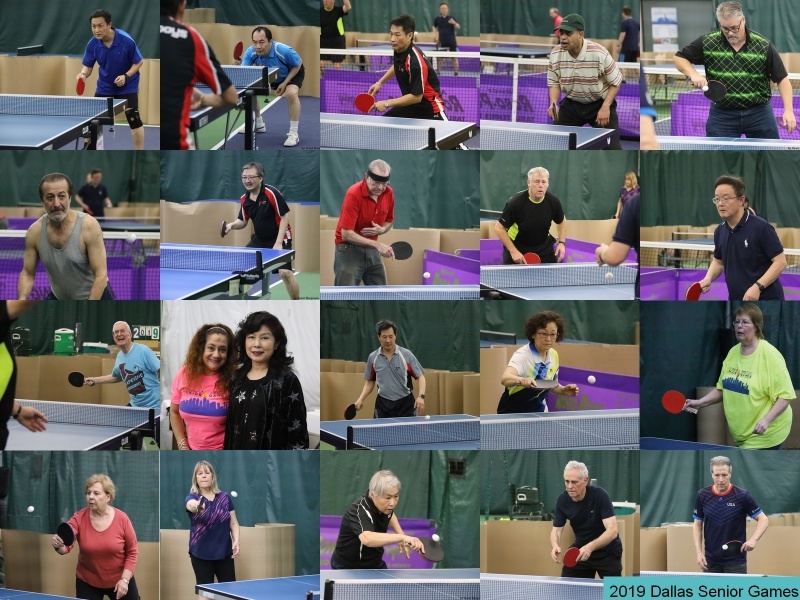 If you are new to table tennis or you are interested in joining DFWTT, please browse our website, gives us a call at 214-240-5975 or visit us during club hours (club playing location) and we’ll be happy to welcome you to our organization. You can also email us at dfwtt1@gmail.com. DFWTT is the place where you can enjoy great table tennis, make new friends or compete!